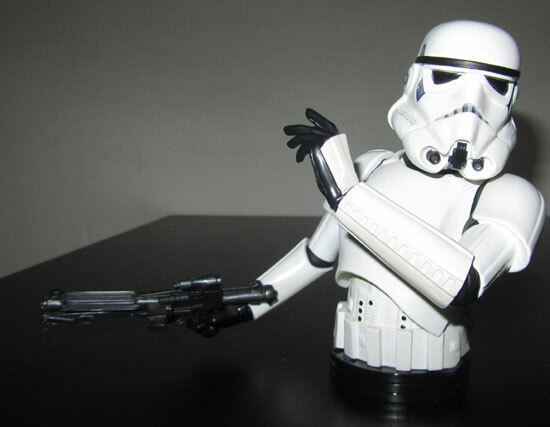 This is only my second foray into customising.....I present to you, my Stormtrooper Mini Bust. 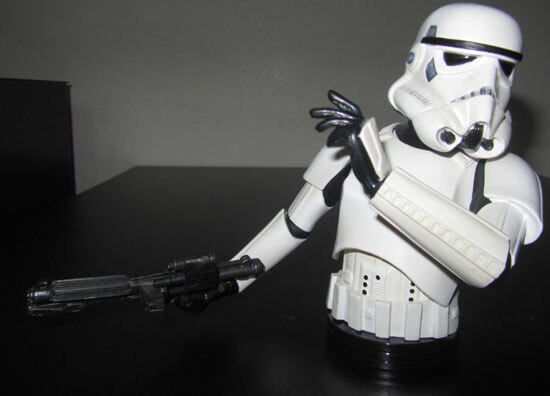 This was a Kotobukiya Luke Stormtrooper that unfortunately had a nasty 'lean forward' and IMO ruined the statue. After unsuccesfully trying to 'straighten' him up I decided to break it in half and create this mini bust. For the base I used three Action Stands (high gloss black) that all had the 'peg' broken off from over use. looking good Paul .. how tall is it ?